Nov 16, 2017: Anyone try Anker Powercore Fusion 5000 as a UPS? Nov 27, 2017: Do I need to upgrade my Chargers and batterypacks etc? 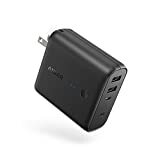 Feb 24, 2018: Recommendations for a 2-in-1 wallcharger/powerbank? May 22, 2018: Is it okay to charge your note8 through a power bank while the power bank itself is being charged? Jan 26, 2019: USB C backup to TP Link Deco? Feb 11, 2019: What are some purchases under $200 that has significantly improved your life since owning it? Mar 22, 2019: Seven-Day Bike Trip to the Bay Area. Mar 28, 2019: What size/brand battery pack (or 2 smaller packs) would you carry to recharge phone and maybe a GoPro on occasion during a 7-day wilderness trip?